This page contains a single entry by Michael C. Shults, Alard Equipment Corp published on May 23, 2018 5:02 PM. 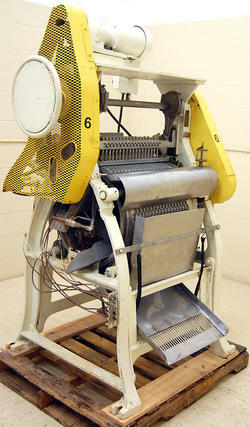 VACUUM STUFFER Handtman VF200 vacuum filler, Y3077 was the previous entry in this blog. BRUSH WASHER SCRUBBER PEELER, 4 roll, stainless steel, mobilizer, Y3857 is the next entry in this blog.